Don’t panic, I’m not going anywhere! I’m able to change things around as the new academic year gets underway. Now that all the kids are in school full-time (bar any sickness they might incur) I’m able to take day time bookings. This change is quite a scary time for me, though the kids seem to be in their element! For the first time in a decade, I don’t have someone asking me for sweets, lunch, food, to help them with the toilet. I don’t have two school runs to do (half day collection from the nursery) & I can please myself! Whilst the daily housework may now get done in an hour (rather than 3!) 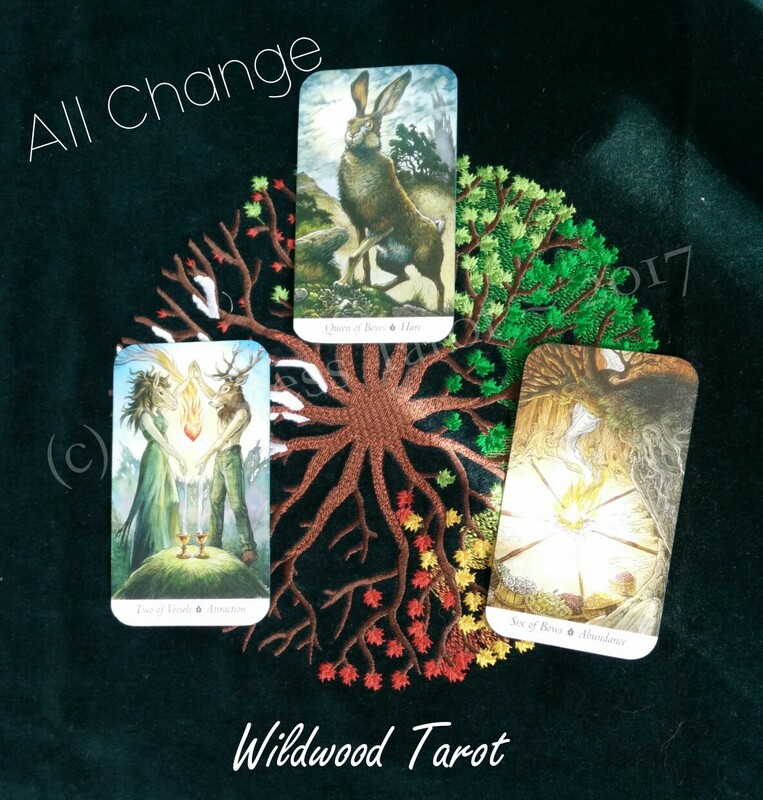 I have more time to dedicate to you, to help you by offering Tarot consultations. This is a big change from the few hours each evening I had spare. The kids are great & know when mum is working. I have things laid out for them if I have to work when they’re home (with time differences, that sometimes happens!) or the eldest (who is getting so tall!) can forage for things that they need. This is another surprise card & I know instantly what it means: Don’t get caught in suddenly being “free” so you can do everything everyone else wants me to. I have to be disciplined, I have to set boundaries & times. That I can do. Don’t just forget about the work because I feel like doing something else. If it’s going to better my ability to help others, then great, go with that change. Otherwise, don’t indulge in the Venus aspect that this card can display. Though, a coffee & a biscuit is allowed! So, to bring these 3 cards together; have my wits about me, look around for opportunities to embrace, don’t get caught in the “Venus” trap of too much “me” time, focus on what you have already & enjoy it! If you’d like to help me fill my now rather empty diary & work towards that new laptop I so need, you can book your consultation right here. The Wildwood : How can it be Syncretic?